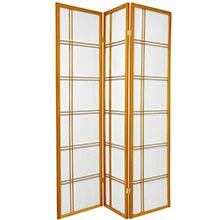 A folding screen is a perfect addition to your elegant decor. 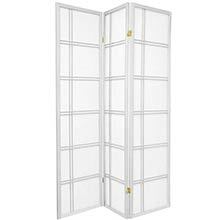 These translucent shoji panels provide privacy without blocking light. This elegant folding screen takes a traditional Japanese design and updates it for the modern home. Shoji rice paper is a remarkable natural substance that is renowned for providing privacy without blocking ambient light. 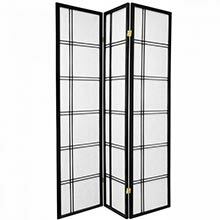 Set in a stylish spruce frame with a double cross design, this Shoji screen is a great way to divide a room, create a private space, or add a cosmopolitan accent to any style of decor.